The encyclopedic Ming-Dynasty Compendium of Materia Medica states: “Bitter melon is bitter, cold, and non-toxic; it can relieve unhealthy heat and exhaustion from overwork, and can relieve fever and improve eyesight.” Through 20 years of arduous field experiments, the Hua­lien District Agricultural Research and Extension Station has bred seven varieties of bitter melon (Momordica charantia). And bitter melon is no longer just a side dish on the dining table: with the help of modern extraction and purification techniques, biotechnology companies and organic farmers have used it to develop numerous functional health supplements. In the bright sunshine of October’s Indian summer, the temperature in the net greenhouse reaches 30°C, turning it into a genuine “hothouse.” When ­Chyuan Jong-ho, associate researcher in the Crop Improvement Section at the Hua­lien District Agricultural Research and Extension Station (HDARES) of the Council of Agriculture, gets to work each day, the first thing he does is to come to his seed nursery, where he pollinates his bitter melon “mother plants” and harvests seeds from them. 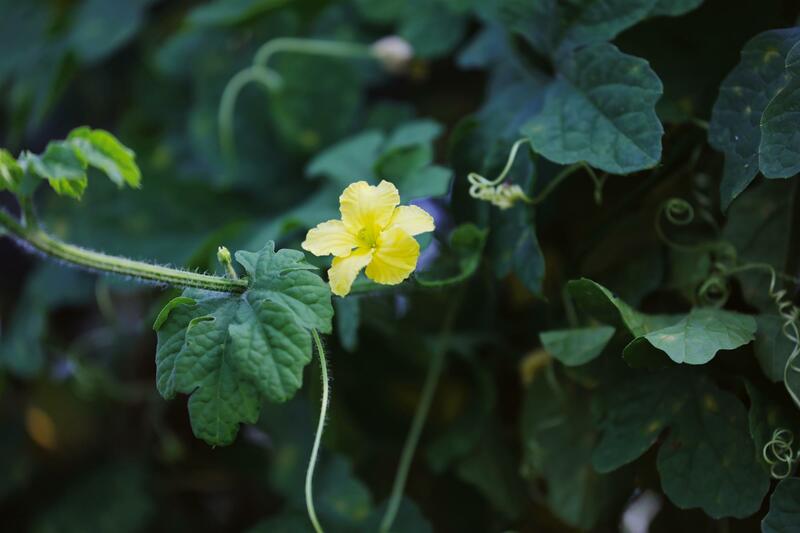 In most varieties of bitter melon, out of every 100 flowers that a melon vine produces, only about two to ten are female flowers, which means you will get between two and ten gourds. 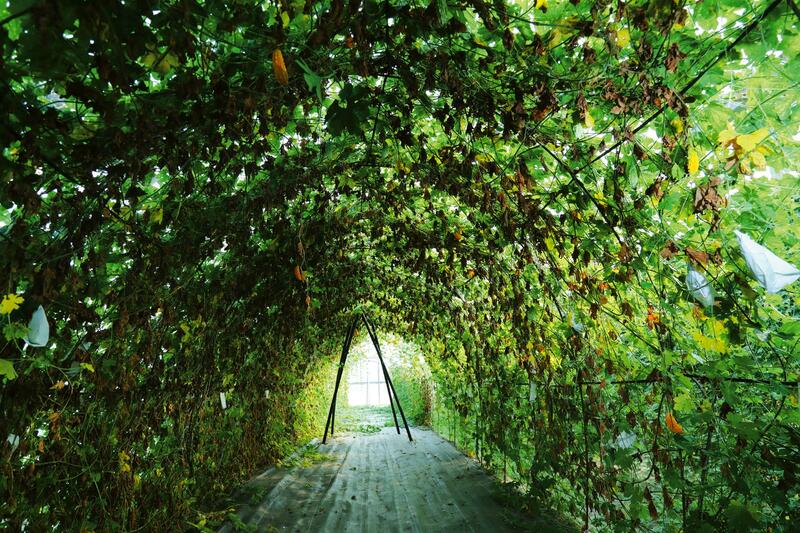 But on this vine, which has been through more than five generations of self-­fertilization to increase the ratio of female flowers, 80‡90% of the flowers will be female. When you calculate the effect on production, you can’t help but feel admiration. For while traditional varieties yield around one metric ton of melons per hectare in each growing season, the new figure could be six to ten tons. In the 1980s, game and seafood restaurants in Hua­lien prepared such dishes as bitter melon with salted egg and bitter melon stuffed with minced pork to enable visitors to try fresh bitter melon. In 1989, the HDARES began to work on improving bitter melon varieties and cultivation techniques, to boost farmers’ incomes. 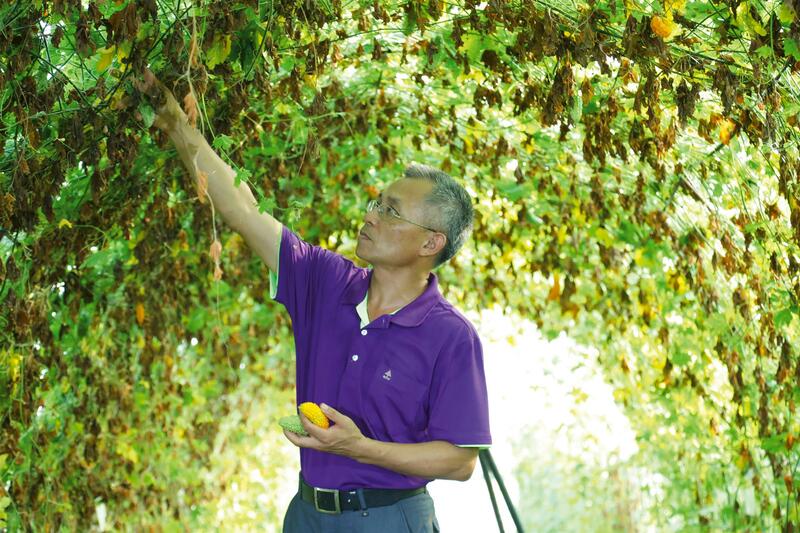 Chyuan Jong-ho began breeding bitter melons in 1996, and over three years from 2005 he completed development of the Hua­lien Nos. 1, 2, and 3 varieties, all of which are high-fruiting cultivars. 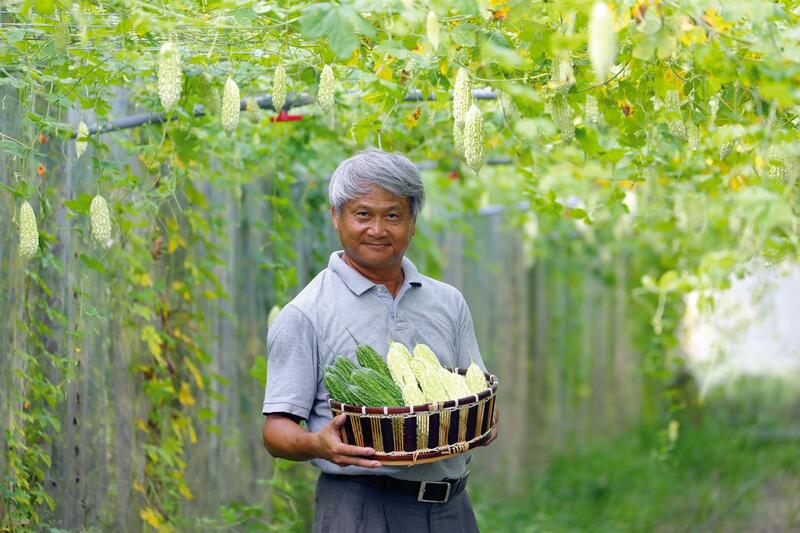 Moreover, they produce small-to-medium-sized gourds, suitable for small families. About as long as a pen and weighing some 160 grams (one-third the weight of the larger white bitter melon), they are a very popular vegetable in supermarkets. Chyuan completed development of Hualien No. 6 in 2016. The male and female parent stock were all drawn from bitter melon varieties native to Hua­lien. This is an outstanding cultivar that ­Chyuan only got after ten years of continual line purification, selection and hybridization starting in 1998. It has a harvest season of six to seven weeks, and yields up to 14 tons of gourds per hectare. Hualien No. 6 is best eaten raw. The gourd shows graduated layers of bright green, with a lustrous exterior, a crisp texture, and a hint of malic acid in the taste. The bitter flavor is removed by briefly cooling the sliced melon in ice water. It is suitable for salads made with raw ingredients, for juicing, and for various cooked dishes. Indeed, the purpose of ­Chyuan Jong-ho’s arduous efforts in breeding bitter melons has not been merely to produce varieties for eating, but also especially to meet the needs of research institutions. It all started when the National Science Council began implementing the National Science and Technology Program for Agricultural Biotechnology, which ran from 2005 to 2011. 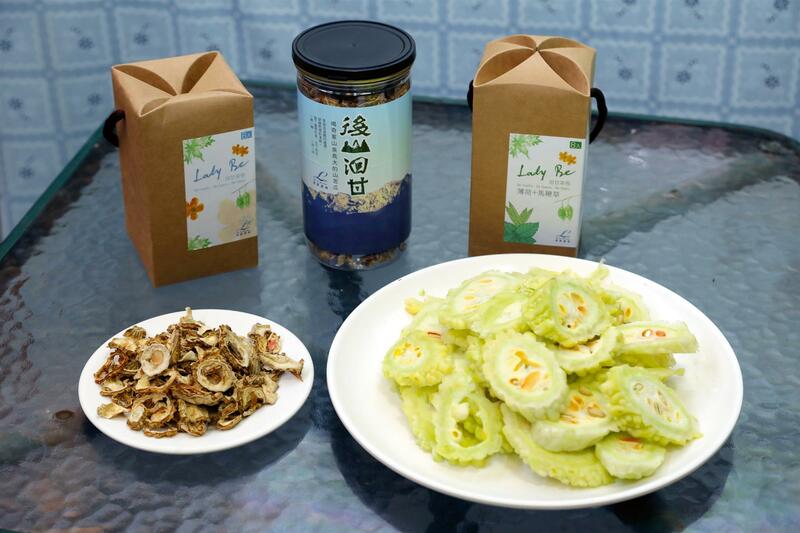 At first they invited various academic institutions, including National Taiwan University and China Medical University, to research crops like yam and Taiwan jewel orchid in hopes of developing herbal medicines and health supplements. 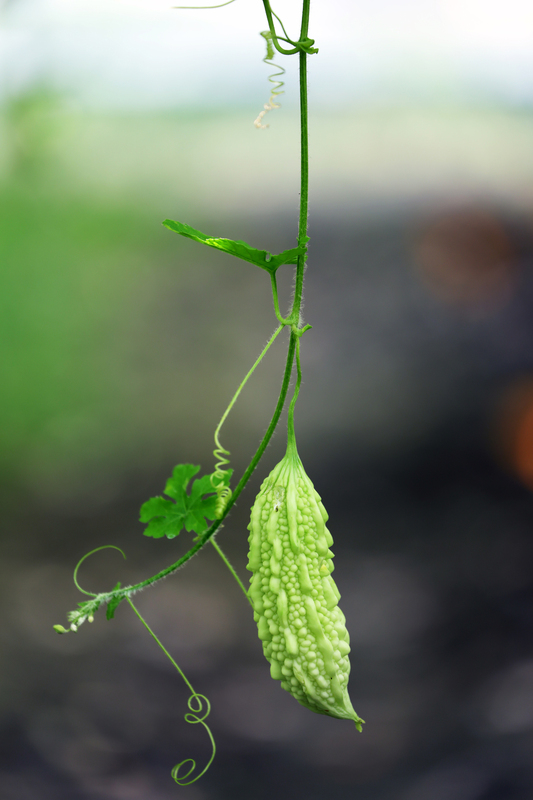 Bitter melon was included in the program starting in 2006, when studies began into its potential for modulating blood sugar levels, reducing hyper­lipid­emia, and combating cancer. However, because the varieties and sources of the bitter melons that research institutions purchased at vegetable markets for their experiments were inconsistent, sometimes the extracts were efficacious, and sometimes they were not, thereby impacting the validity and reliability of the research. Therefore at the request of the research institutions, the HDARES began supplying them with bitter melons of reliable quality, of the same variety, and grown and harvested at the same time, for their research. With the support of the NSC program, academic institutions have done a great deal of research on substances extracted from bitter melon, and have already been granted more than 46 patents with respect to production processes and health effects. For example, in ten years of research ­Cheng Hsueh­-ling, a professor in the Department of Biological Science and Technology at National Ping­tung University of Science and Technology, discovered through experiments on cell cultures and on mice that tri­terpen­oids and saponins purified from the vines and fruit of Hua­­lien No. 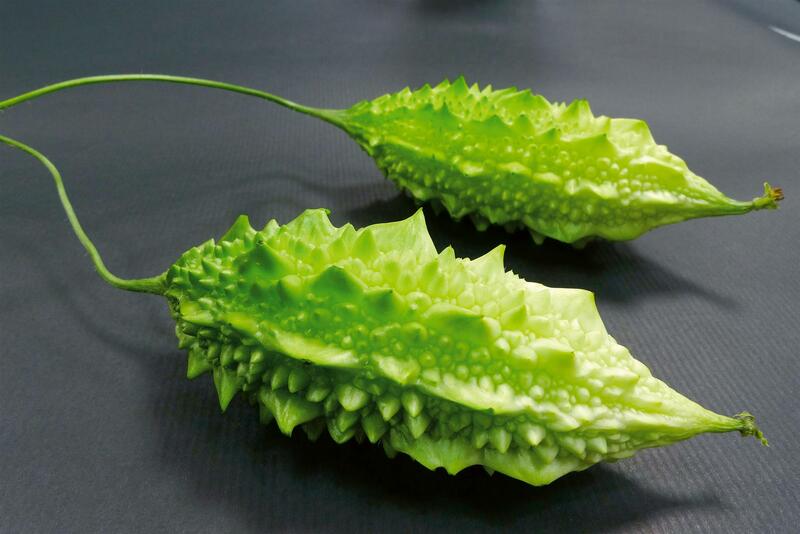 2 and the similar Okinawa bitter melon can reduce insulin resistance in cells, indicating that bitter melon has the potential to be developed into a health supplement to combat Type 2 diabetes. Meanwhile Professor Hsu Hsue-yin of the Department of Life Sciences at Tzu Chi University has for the past ten years been using substances extracted from bitter melon for research on cancer cell lines. She has discovered that a certain ingredient has the effect of inhibiting growth of cancer cells. The results achieved by research teams under the NSC program suggest a bright future for the bitter melon. This is why the HDARES research team has focused its development efforts on breeding “health-protecting” bitter melon varieties. This especially applies to Hua­lien No. 4, for which ­Chyuan Jong-ho’s team was granted plant variety rights in 2008, and No. 5, which they completed development of in 2010. Both are varieties that the HDARES began to breed in 2002. Though unprepossessing in appearance—with their fat and short shape, and dark green skin with a knobbly, serrated surface—they both prove that “you can’t tell a gourd by its cover.” Tests by the Food Industry Research and Development Institute and other bodies have shown that these two bitter melon varieties are suitable for development into health supplements. Chyuan says that Hua­lien No. 4 and No. 5 both display “heter­osis” (a.k.a.“hybrid vigor”), which reminds one of the common saying that “the first generation of mixed-blood children are smarter.” They are high-yielding varieties with high nutritional value. Dr. Davis Liu, general manager of the Aquavan Technology Company, which exclusively licensed plant variety rights for Hua­lien No. 4, notes that the company uses “supercritical fluid extraction” technology to extract substances from Hualien No. 4 and purify them. 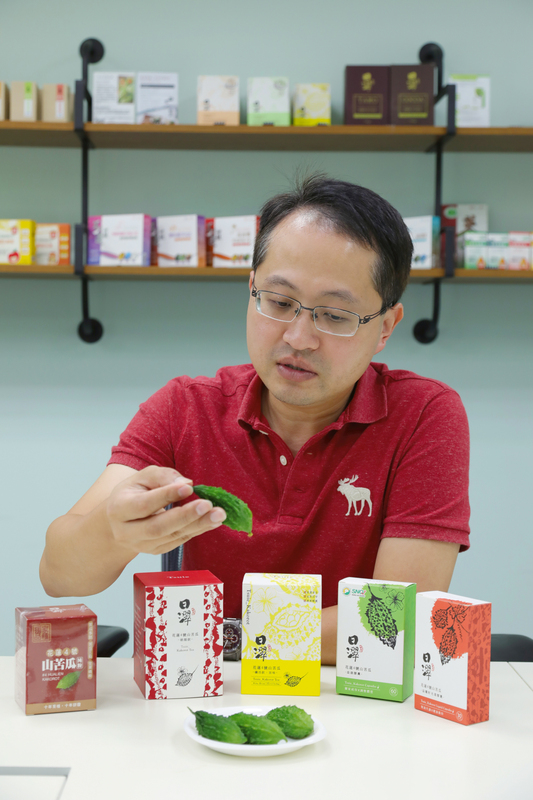 They have already developed various health supplements that boost bodily functions, which they sell in the US and mainland China. They have also developed and tested pharmaceutical products derived from bitter melon, for which they are currently seeking approval from the US Food and Drug Administration, as well as applying for patents worldwide. 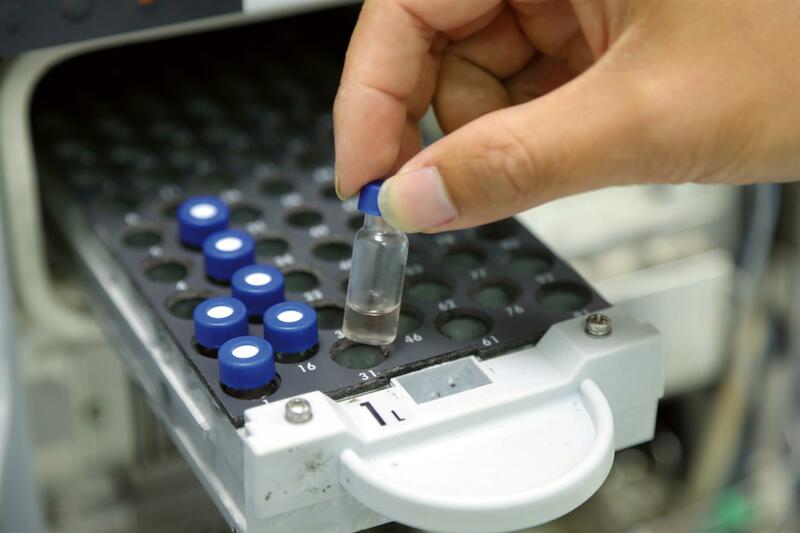 If it proves possible to develop an anti-cancer drug from the Hua­lien No. 4 bitter melon, this will be a historic use of a native plant as the basis for a plant-based medicine, and the future prospects for the bitter melon will be unbounded.